Meet the Team – Tolleson, Arizona! 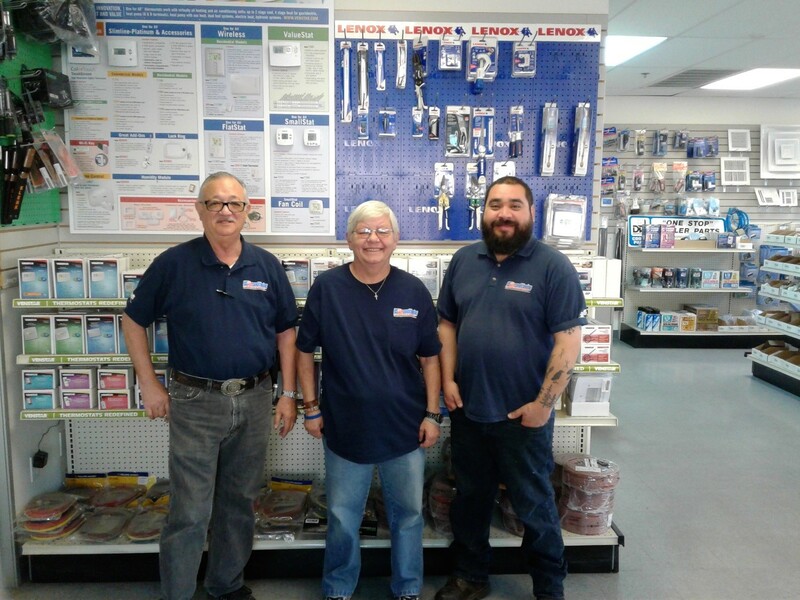 The group at our Tolleson, Arizona branch is well-trained and ready to offer the best in HVAC parts, equipment, and supplies. If you’re in the area, stop into the store and show them this story on your mobile device to receive 15% off your next purchase of parts & supplies (Tolleson store only – valid through 1/31)! How many years’ experience do you have in the industry? I have 17 years’ experience in the HVAC industry. How long have you been working for US Air Conditioning Distributors? I have worked for USACD for 10 years. What is your favorite part about working at the Tolleson branch? I enjoy working with my co-workers to get our customers taken care of. I also like the fact that there is something different to deal with every day. I have 15 years’ experience altogether. I worked 13 years as a technician and my last 2 years have been with US Air. I’ve been working for U.S. Air Conditioning for 2 years. Hanging out with my co-workers and old friends that visit me from time to time. I have been in the HVAC & WHOLSALE business for a total of 31 years. I have really enjoyed working for US AIR for the past 19 years. I was with the San Diego Branch from 1995-2007 and now almost 6 years here in Tolleson. First I thank God for one more day. I enjoy my coworkers and our customers that always have a new challenge for us to tackle.